Perfection – Orocrea Jewerly s.n.c. The purest expression of simplicity made art. A golden thread that dances, what shape would it take? 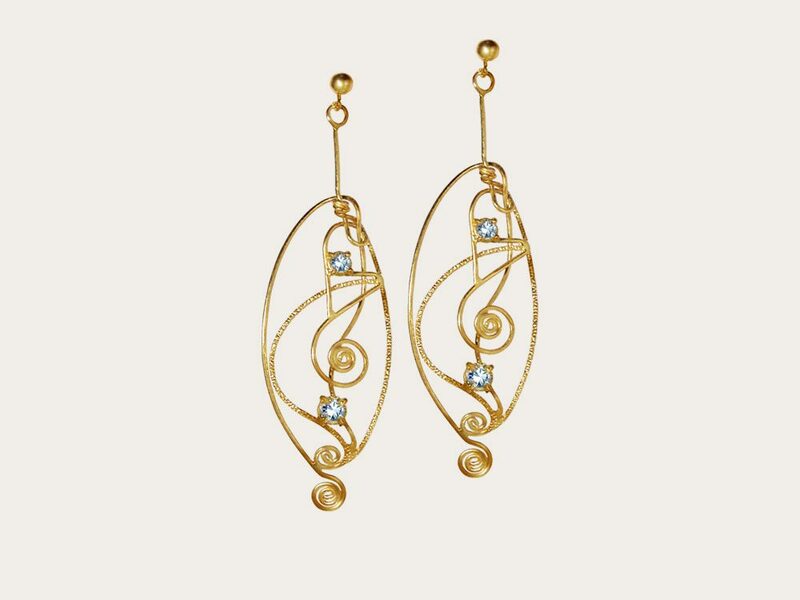 We imagine it in this way: a three-dimensional curvilinear earring for your lobe. And the brilliance of the light, would take the shape of a diamond. These earrings tell about the nobility and elegance of the feminine, which does not need to be flashy, to bring beauty. The Selfic preparation attracts synchronicity and positive events. All earrings of Oro Crea facilitate dreams and imagination.